San Marino and Pasadena, California Car Accident Lawyers with Over 40 Years of Experience and Success Rate of Better Than 95% in Resolving Injury & Wrongful Death Cases! Our personal injury & wrongful death attorneys understand how overwhelming a serious injury or wrongful death accident is for victims and their families. San Marino, Los Angeles County California car accidents cause serious injuries, substantial property damage, and sometimes even wrongful death. Our San Marino wrongful death, car accident personal injury claims lawyers and law offices have a 95% success rate in handling thousands of personal injury cases in San Marino, Pasadena, Los Angeles and all throughout California. With more than 40 years of experience in handling thousands and thousands of car, truck, motorcycle, bicycle and other accident injury claims, we are a group of accident claim lawyers offering our legal services for San Marino, Pasadena and Los Angeles. Our expert car accident injury lawyers know how to handle car accident cases, from getting damaged cars towed and repaired or total loss settlements, free rental cars, immediate medical care on a lien basis without payment due until your case is resolved, to maximum settlements while providing legal advice and clear explanations of the claims process all along the way. To see what other clients have said about us, please visit our testimonial section. There are many time rules (including the California statute of limitations) and procedural rules (e.g., in car, truck & motorcycle insurance policies, the California DMV, etc.) so please do not wait. Please do NOT risk making a mistake or blowing a time deadline. Please contact us now at 818-222-3400 or 1.866 INJURY 2 (after hours just dial “1”) for your absolutely FREE & CONFIDENTIAL consultation and case evaluation. Further, if we take your case, our injury attorneys work on a contingency fee on accident cases which means there is NO fee to you until you WIN! If you or anyone you care about has been involved in a San Marino CA car accident or any motor vehicle collision, call us right now for your FREE & CONFIDENTIAL car accident personal injury evaluation and advice. You can look through our lawyer profiles and get to know our experienced and well-qualified lawyers. Furthermore, learn about the formalities, procedures, and rules associated with San Marino, Pasadena and Los Angeles California personal injury and wrongful death claims by visiting our Car Injury Accident Web Site; and for more specific help about your own particular car accident injury case please call us now at 818-222-3400 or 1.866 INJURY 2 (after hours just dial “1”) for FREE & CONFIDENTIAL consultation on your car accident injury case. 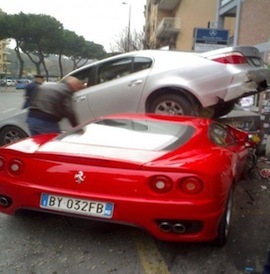 Remember, our car accident injury lawyers offer FREE legal consultations and evaluations on San Marino car accident claims and take our clients’ accident cases on a contingency fee basis, which simply means there is NO fee until you WIN! Medical Care: Personal injury car accidents in San Marino and Pasadena CA often leave victims dealing with serious injuries that require substantial medical care and physical therapy care and attention. Our San Marino and Pasadena attorneys help our clients obtain medical care, including doctors, physical therapists, specialists such as orthopedic and plastic surgeons, neurologists, dentists and psychologists; usually without any payment until the claim is resolved. Moreover, clients can seek assistance for medications and prescriptions, X-Rays, including MRI and CT scans, usually with no payment due until your claim is resolved. Vehicle Repairs: San Marino, Pasadena and Los Angeles car accidents collisions can cause heavy damages to cars, trucks, and motorcycles. Our San Marino & Pasadena car accident lawyers and law offices help with your vehicle repairs, total loss pay-off, storage, towing and, if appropriate, free car rental. Transportation to Doctor: Our San Marino and Pasadena car accident lawyers assist clients in finding doctors, arranging appointments and, whenever appropriate, arrange transportation for injured clients to and from the hospital, medical clinic and other doctor and physical therapy appointments. If you need any help getting to your doctor, please let us know. Cash Advances/Emergency Loans: San Marino, Pasadena and Los Angeles California car accidents can exhaust your finances especially with unexpected medical bills and added expenses to take care of at a time when you may miss out on work and suffer a loss of earnings and overall income. Our experienced San Marino and Pasadena car accident lawyers and law offices will assist you in receiving loans and advances to cover those additional expenses. San Marino is a city in Los Angeles County, California. Incorporated on April 12, 1913, the city was designed by its founders to be uniquely residential with expansive properties surrounded by beautiful gardens and trees, wide streets, and well maintained parkways. The city of San Marino is located in San Rafael Hills. As per the 2010 census, the city had a population of 13,2014. 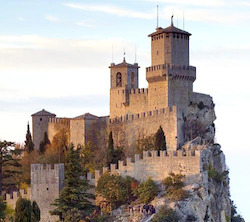 As per Forbes Magazine, the city of San Marino is ranked as the 48th most expensive area to live in the united States. The city has taken its name from the ancient Republic of San Marino that was founded by Saint Marinus who fled his home in Dalmatia at the time of the Diocletianic persecution of Christians. 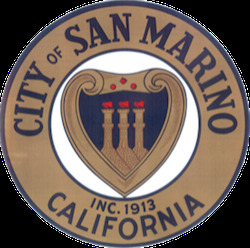 The official seal of the city is modelled on the republic depicting the Three Towers of San Marino, each capped with a bronze plume, surrounded by a heart-shaped scroll with two roundels and a lozenge at the top. Beneath the city’s seal are the crossed palm fronds and orange branches. The city of San Marino was originally occupied by a village of Tongva Indians located approximately where the Huntington School is today. The area was a part of the lands of the San Gabriel Mission. San Marino is the location of the Huntington Library and Gardens. In the middle of the city lies Lacy Park, a 30 acre expanse of grass and trees. Originally named Wilson Lake in 1875, the land was purchased by the city in 1925 and dedicated as a park. It includes a picnic area that is often the site of musical concerts, civic events and pancake breakfasts. Within the park there are two (2) walking loops, an inner loop and an outer loop. The San Marino Tribune has been the official newspaper of the city since 1929. There are two (2) sections of the weekly paper -- an A section and a B section, the distinction of the paper being that it covers not only San Marino news but also Pasadena, San Gabriel, Alhambra, Arcadia and South Pasadena news. Furthermore, San Marino has several elementary and higher schools, such as Valentine Elementary School, Huntington Middle School, San Marino High School, Carver Elementary School and more. 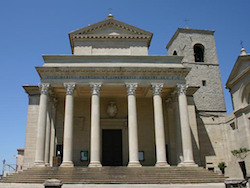 The city of San Marino played a prominent role in Edward Bunker’s 1996 novel Dog Eat Dog. For an easy, free and confidential consultation, fill-in the details in our contact us form and fill us in on your San Marino, Pasadena or Los Angeles car accident or any other injury claim. Our lawyers and staff really care about our clients. We strive for the best result possible. Here are some of our wrongful death & personal injury law firms’ credits, awards and accomplishments. Served as Chair of the Civil Litigation-Tort Section of Westwood Bar Association.